LAHORE: Heavy downpour here on Sunday left the Lahore Qalandars with no choice but to call of the opening day matches of group B for the Players Development Programme Tournament. 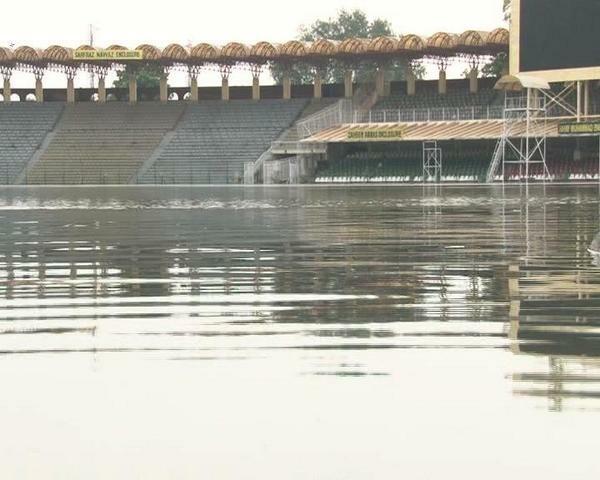 Following two hours of intense rain in the afternoon, the city’s famous Gaddafi Stadium turned into Gaddafi swimming pool. “We were told by grounds staff that it’s not possible for the ground to be prepared for cricket in the next few hours, hence we have decided to call off today,” informed Qalandars cricket director Aaqib Javed. According to the schedule, Gujranwala Qalandars were to face Faisalabad Qalandars, while Lahore Qalandars were to play Rawalpindi Qalandars. “We want the players to get the maximum opportunity to play, he said. The former right-handed fast-medium pace bowler said that the matches would be played on Monday if the weather clears up.